The counting of votes for the recently concluded municipal polls began in Jammu and Kashmir this morning. Counting of votes started at 8 am, and all the results will be declared later in the day, election officials said. 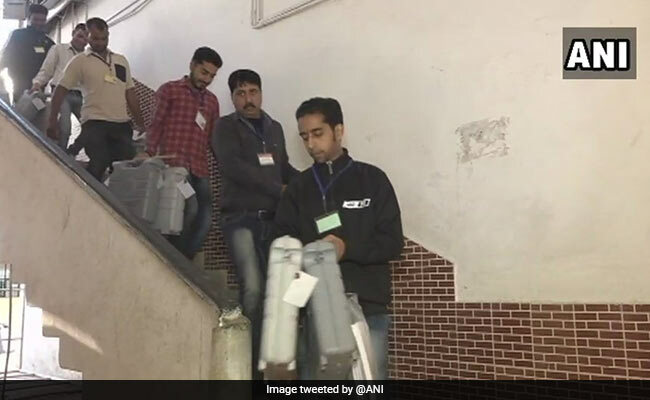 For the Srinagar municipal corporation, the counting is being held at the Sher-e-Kashmir International Convention Centre (SKICC) in Srinagar and for the Jammu municipal corporation, it is being held at the Polytechnic Institute near Bikram Chowk. Tight security arrangements have been made across the state to ensure that counting of votes happen in a peaceful environment. Municipal elections, which took place in the state after 13 years, were held in four phases. It covered 79 municipal bodies with an electorate of about 17 lakh voters. The Valley witnessed a poor voter turnout while Jammu and Ladakh recorded robust polling.